This is a wonderful reminder to be gentle with ourselves and set up sustainable writing practices. Thank you and best of luck in the new year! Thank you, Cassandra! As we move forward in the new year we all need to be good to ourselves in every aspect of our lives and I wish you good luck and happy writing in the new year! I’ve been guilty of those lofty, unattainable goals before. Glad to know I’m not the only one who can make her writing goals. I think a more gentle, habitual goal like the monthly writing challenges makes more sense. We all know (or have heard of) those prolific authors who can crank out several books a year, but for most people, life gets in the way. Thanks for the reminder! Happy New Year, Jenifer! I feel the same way. Its all about the approach that best suits the individual writer. I’m not a fast writer, although I’m practicing. I’m more concerned with telling the best story I can tell. Telling my truth. Thank you for stopping by the site. I wish you much success. 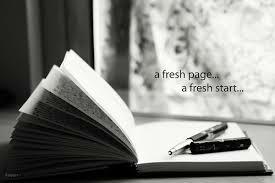 Good luck to you in the new year and happy writing!